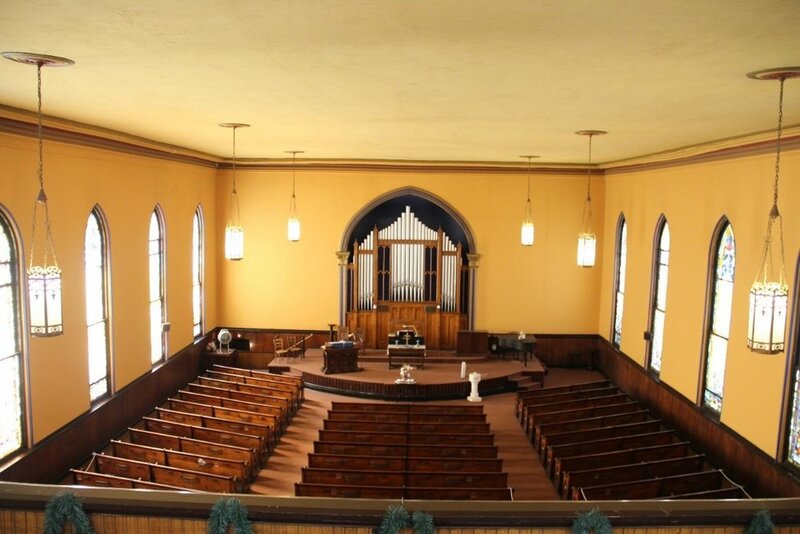 Earlier this year, in partnership with the South Side Presbyterian Church’s congregation, we submitted an historic landmark nomination for the church to be listed on the City of Pittsburgh’s Register of Historic Places. South Side Presbyterian Church is located at 1926 Sarah Street and was constructed in 1869 by the prominent contractor John T. Natcher when the neighborhood was still the independent borough of Birmingham. Natcher is also responsible for constructing the South Side Market House, (former) Mt. 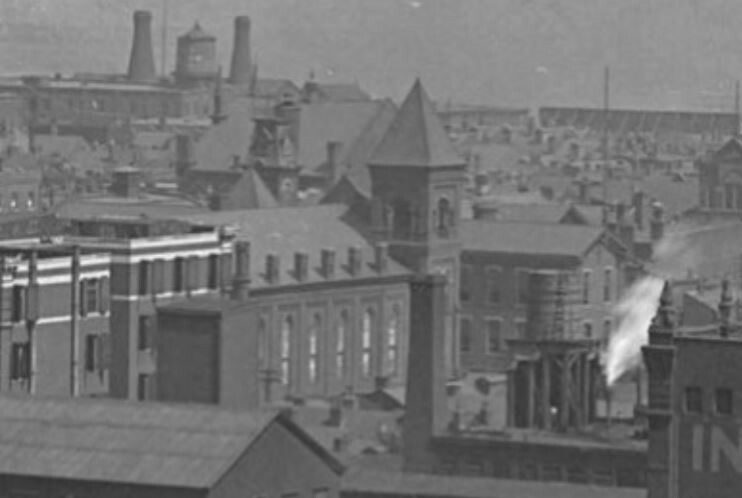 Lebanon United Presbyterian Church, and mills or foundries for the Garrison Foundry Company, Robinson Rea & Company, Zug and Company, Shoenberger & Company, McIntosh & Hemphill, and Clark’s Solar Iron Works. South Side Presbyterian Church would be enlarged by Waite & Rowlands in 1893 when a Gothic Revival facade, including two prominent bell towers, was added fronting Sarah Street. The South Side Presbyterian Church is historically significant because of its embodiment of mid-nineteenth vernacular Gothic Revival design with late-nineteenth century Gothic Revival alterations, its association with themes of religion, ethnicity, and social history; and that it’s a prominent visual feature of the South Side Flats in which it stands. 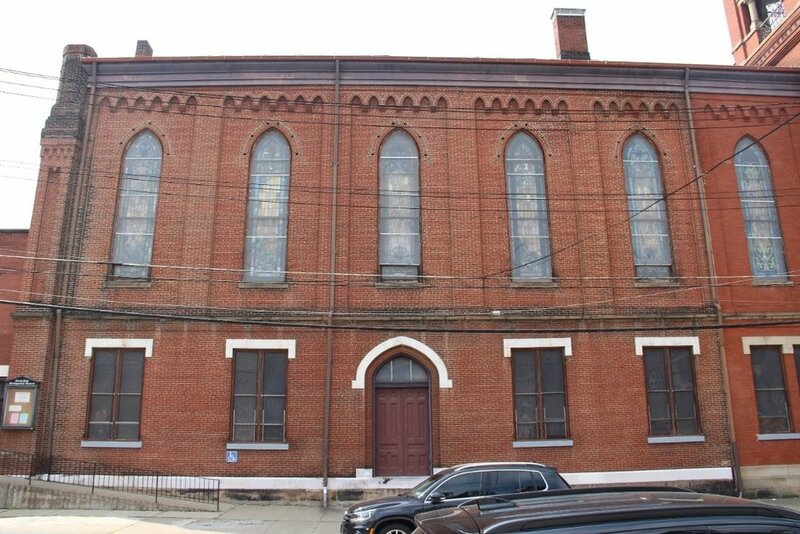 Earlier this month, the Historic Review Commission found the building eligible for historic landmark status because of the reasons above and forwarded the nomination to the Planning Commission for its recommendation before Pittsburgh’s City Council will take it into consideration. If you would like to lend your support for the designation, please email Council President Bruce Kraus at bruce.kraus@pittsburghpa.gov. 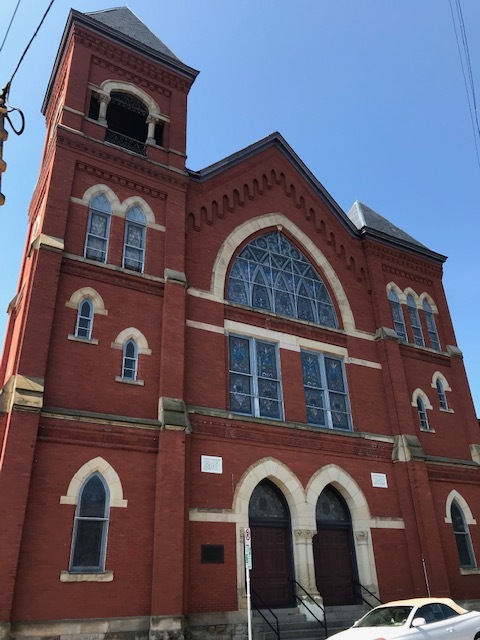 We would like to thank the South Side Presbyterian Congregation, Pastor Kathy Hamilton-Vargo, and the Pittsburgh Presbytery for their partnership and the extraordinary work they do to preserve, and now formally recognize, this exceptional piece of our city. If you would like to help our landmarking efforts, please consider donating to our Landmarking Fund.